Every woman wants to know the “Secret” to getting toned, flat abs. But there is no actual “Secret”. With some hard work & consistency, exercising the correct way and clean eating, will set you on the path to completing this goal. High Intensity Bodyweight workouts and workouts using free weights are the best way to achieve a flat tummy. This is key because a toned flat stomach involves spinal stabilization, which is best done working with full range of motion. Therefore the best AB exercises are not basic abdominal focused exercises like crunches and sit ups. Its exercises that work the entire core and puts the body in a fat burning state, is what burns body fat and flattens your midsection. More specifically, Compound exercises – exercises that work or involves more than one muscle group. Like Squats, Plank, Deadlift, Mountain climbers, etc…. They are great compound exercises! High intensity workout – This puts the body in a fat burning phase, especially when preformed with weight which increases muscle tone, and more muscle tone means more calories burned at rest. Stand tall with legs straight . Bend at your hips, keeping your legs straight. Begin walking your hands forward and continue as far as you can without letting your hips sag – aim to end in a push-up position, preform a push up. Now walk your hands back towards feet hands until you’re back in your starting position. That’s one rep…..
Avoid sugar like the plague….! Fighting belly fat is 80% what you eat and one of the worst things you can put in your body is sugar. Processed sugar is a simple carbohydrate that provides no nutritional value to the body and is extremely calorie dense. This is why people call it empty calories. By consuming sugar, all you are doing is spiking your blood sugar levels, increasing the production of insulin and promoting the body to store more fat. Not only does eating sugar make you gain weight and is extremely addictive, excess consumption can also lead to other major health problems like obesity, diabetes, heart disease and more. Eat fat – Yes, that’s right in order to burn fat you need to eat healthy fat. In fact, eating fat (the good natural kind), can actually help with fat loss, boost your metabolism and improve overall health. 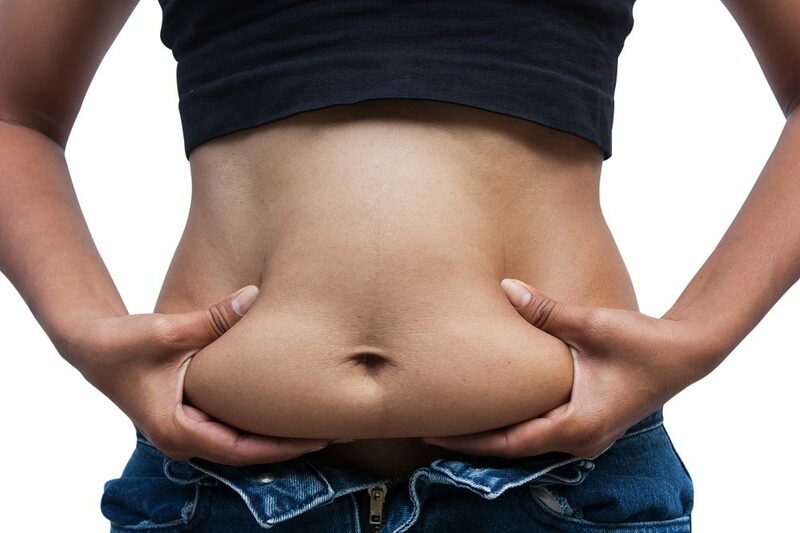 Please say goodbye to the old myth that fat makes you fat. Good fat is essential for your body, brain and organs to function properly and an essential nutrient to include in your daily diet. Especially when you are doing extensive exercise and your body requires proper fuel. Sleep is so important for your overall health and wellbeing. Not only does a good nights sleep mean you have better brain function, it’s also super important for the body to be efficient at burning calories. One bad night’s sleep can increase the body’s ghrelin levels, which is the hormone that makes you hungry. This is often why when we haven’t slept well, we want to eat all those sugary bad foods. It also reduces leptin (which is the hormone that promotes satiety), making it easy to overeat the next day. Poor sleep can also increase stress levels, which again leads the body to store more fat. It’s also not just about the amount of sleep you get each night, but also the quality of your sleep. Try and get at least 7 hours of good quality sleep a night. Doing things like turning off your electronics a few hours before bed, can help you reach that deeper sleep a lot quicker. Manuella Myburgh a Fitness Coach / Personal Trainer, CrossFit Coach & Athlete, Olympic Weightlifting Athlete, Ladies Boot Camp Owner & Coach, Social Media Manager and Fitness Blogger….. From South Africa. Manuella is a passionate and motivated coach who loves helping people achieve their fitness goals, to improve and progress. She is just crazy about what she does and loves focusing on Strength & Conditioning, which she finds the most important part of any training program. Her regime training consists of Olympic weightlifting and CrossFit.